I step on this fuzzy monkey’s face every time I get out of the shower. He doesn’t seem to mind – he just keeps on smiling. 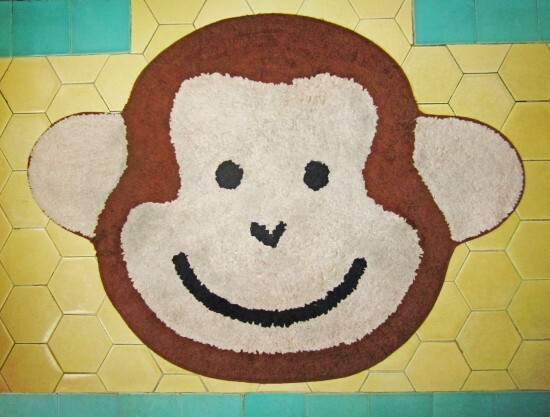 EXCELLENT happy monkey rug. New or vintage? Looks like great vintage tile he’s sitting on too.